If You are Hurt in a Bar Fight, Who is Responsible? You go out in downtown Anchorage with some friends to have a couple of beers. The next thing you know, you are up to your elbows in a bar fight. You get hit in the face by a wayward punch and spend the rest of your night in the hospital getting stitches. You miss a month of work because of your injuries. At this point, you are probably wondering who is going to pay for all of your medical bills and the pay you have lost at work? First, you might not have much legal recourse if you got involved in the bar fight by your own actions. In most jurisdictions, if you agreed to fight someone, the law typically considers this something called mutual combat and basically deems that you are responsible for your own injuries and therefore, the other party or parties involved are not likely liable for your injuries. However, if you were an innocent bystander when you were injured and were not involved in the fight other than that, as a result of the fight, you received an injury, then may bring a claim against the responsible parties. In most circumstances, the person who harmed you would be liable to you for the tort of battery. Alaska law defines battery as harmful or offensive contact by one person with the body of another person without the consent of the victim. Clearly, if you were minding your own business and a stray punch made contact with your face, this typically would meet the definition of battery. The person who threw the punch most likely stands to be liable. Were the customers who were fighting over-served (meaning that the bar served already visibly intoxicated customers more alcohol, an idea established in Alaska’s Dram Shop Law)? Did the establishment have a history of being host to violent behavior? Did the establishment take necessary precautions to train its employees regarding violent situations? Did the employees encourage the violent situation to occur? As an innocent third party, you have the expectation that you can go into a bar or restaurant and get served without getting injured. Those who participate in a fight bear responsibility for the foreseeable consequence of their actions. The establishment also bears a certain amount of responsibility to ensure that its patrons are kept safe. You should not be expected to shoulder the cost of medical bills and time off work. If you are in Alaska and you have been injured in a fight or by someone else’s ill-considered actions, you have rights that need to be protected. 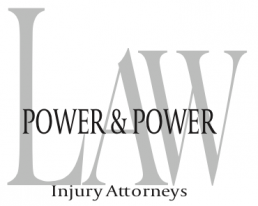 The skilled legal professionals at Power & Power Law have decades of experience standing up for those who have been injured through no fault of their own. Give us a call today at 907-222-9990 or toll free at 833-669-9990 or click here to set up your initial consultation to see what we can do for you.